For many years now, many had achieved financial freedom through investing in properties. Learn how you, too, can invest in properties and achieve financial freedom, here. I personally have explored other investment vehicles before I concluded definitely that property investment is the proven investment vehicle to financial freedom. Leverage or using Other People’s Money (OPM). If you purchase a property worth RM300,000, you only need to pay 10% down payment which is RM30,000. The balance of RM270,000 can be obtained through financial institution. Only real estate investment allows one to borrow up to 90% of a property value. Now, home owners are even allowed a 100% loan for the 1st property! The ability to obtain high leverage from properties is relatively easy. 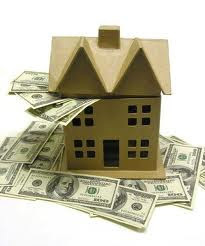 In addition, property investment is a relatively safe investment strategy. Passive monthly rental income. We only need to buy the property once and rent it out once (assuming we find a long tenure tenant) to enjoy monthly rental income for a very long time. Now, that’s what I call the perfect investment vehicle for ‘lazy’ people. Hedging against inflation. Property investment is also about wealth protection. The property value will increase with time; hence protecting your wealth against inflation. At the same time, monthly rental will increase while monthly installment remains the same, hence offering you increased cash flow. Capital appreciation. The rate of return for property investment is astounding. Let me give you an example of properties in Penang. A 3 storey linked house that was selling at RM690,000 in 2009 is now asking for RM1,000,000 – that is an approximately 44% appreciation in a little more than 3 years! In addition, Penang is an island and the land is getting scarce. With the increasing demand, both from the locals and foreigner, the property price here is sure to increase with time. It’s a business. Property investment is unique. Expenses incurred on the property can be deducted from your taxes. Moreover, whenever you needed capital to purchase more properties, all you need is to secure a higher mortgage from your bank. Penangites, you are in for a treat this coming Saturday, 21st July at 1pm in Vistana Hotel. My Property Coach will be in Penang with his team of mentees for a study tour of Penang properties. I have convinced him to share with you his success stories in Property Investments as well as to share with you the secret formula for achieving financial freedom in 5 years or less through property investment. The success rate recorded thus far for Penang is a massive 83.3% i.e. for every 10 people that attended the property seminar, 8 will buy a property with No-Money-Down. This team, together with the previous 2 batches is working together to close deals and we are establishing a Real Estate Tycoon Club (RTC) in Penang. Freemen is an organization which has been training investors since 2008 to benefit from any market. We’ve made 200 individuals more than RM3Million in profit, investing in over RM30Million worth of properties, ALL with no money down! Property Coach from FREEMEN will be in Penang on Saturday, 21st July at 1pm onwards in Vistana Hotel. Book early as we will be expecting a full house. *SPECIAL OFFER: 1st 5 people to register in for this event will get a FREE book from Ho Chin Soon. So hurry, learn from the guru and take action now to register here http://www.aboutpropertyinvestment.com as seats are limited.